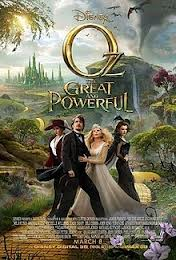 Oz is bursting with great visuals and powerful special effects so stunning that they are beautiful works of art by themselves. 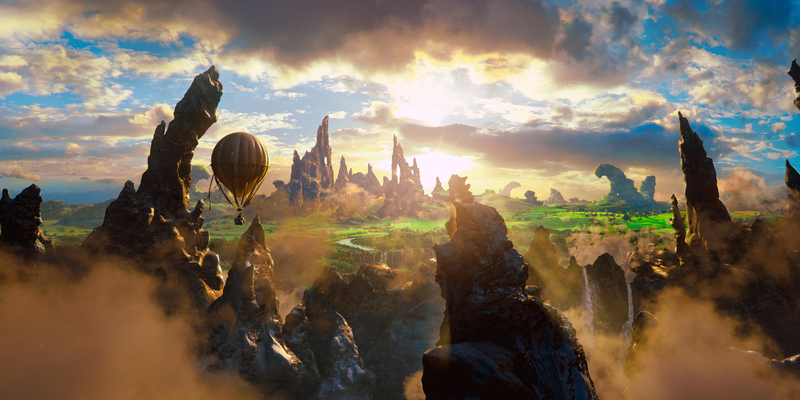 The film is full of crisp, vibrant colors that help to contribute in transporting you to another world; the Land of Oz to be exact. Upon hearing rumors many months ago that this movie was going into production, I was extremely skeptical. Why doesn’t Hollywood leave well enough alone? Why do they insist on fixing something that is not broken? The original film (The Wizard of Oz (1939) is a timeless classic. It is one of the most famous and beloved movies ever made. Even 74 years later, the film could never be made better. Why try to even compete? I found out that this new movie was going to be a prequel. I was still just as skeptical. I forgot about it for a while until I finally saw a preview for it. The preview was intriguing enough for me to want to see it. 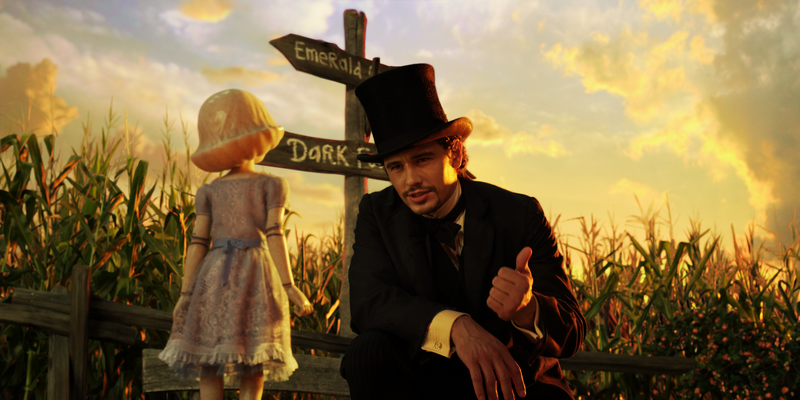 Oz the Great and Powerful was very tastefully written and filmed. It did not try to compete with the original, and it never could. I was impressed by how the Land of Oz was recreated. No, it was not the same as the Oz that we all know and love, but it was a nice tribute to that Oz. The scenes in black and white were reminiscent to the scenes in Kansas that we all grew up watching. Not the same, but entertaining to watch. The movie was a fun take on what happened in Oz before Dorothy got there. It tells the tale of how Oz himself ended up there. 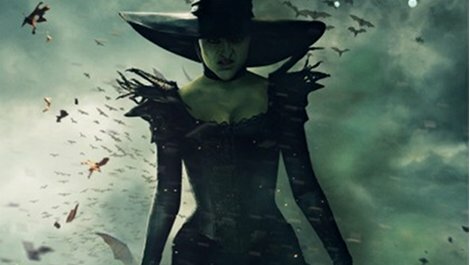 You get to see how the wicked witch became wicked and who her sister was long before she gets a house dropped on her. Glinda the good witch is there and so are the munchkins. The movie is filled with capable actors like James Franco, Mila Kunis, Rachel Weisz, Michelle Williams, Zach Braff, Bill Cobbs, Tony Cox, Bruce Campbell, and Ted Raimi. They all give decent, likable performances. Nobody really stands out, but that’s okay. I can’t imagine how much pressure Sam Raimi was under when he directed this movie. There are big shoes that he could never fill. The film does not try to intertwine with the original and that is what strongly works in its favor. It is a whole different story and a whole different movie. If you don’t expect it to actually be the original, then you might actually enjoy it like I did. One of the darkest, creepiest Disney kids movies that I can recall in recent years. 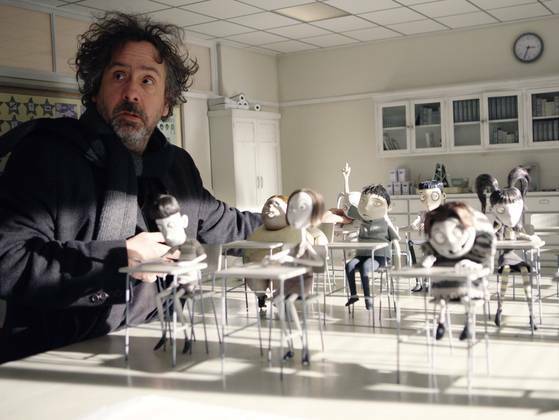 The awesome, unique animation was obviously influenced by the warped brilliance of Director Tim Burton. It is basically the love child of The Nightmare before Christmas (1993) and Corpse Bride (2005). Ever since Burton made a name for his crazy self when he directed Beetlejuice (1988), every one of his movies has been a visually stunning work of art. Burton takes the classic Frankenstein (1931) and puts it in a blender with Lassie Come Home (1943), Pet Sematary (1989), The Mummy (1932), Dracula (1931), The Wolfman (1941), Bride of Frankenstein (1935), Gremlins (1984), and Godzilla (1954). 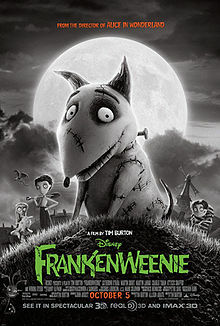 The monster that is created from this movie concoction goes by the name of Frankenweenie. Frankenweenie is a touching, heartfelt, twisted tale of a boy’s love for his dog, Sparky. After a Sparky dies in a terrible accident, the boy cannot cope. He tries to use science to bring his beloved dog back from the dead. His classmates think that he is doing the experiment to win the trophy at the science fair. In order to compete, the students try to raise dead animals of their own. The entire film has a classic old-movie feel that is incredible. It is the first full-length animated film that I have seen that has achieved the sense of an earlier time in such a realistic way. 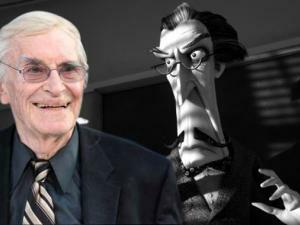 The movie has a handful of big names (Martin Short, Martin Landau, Catherine O’Hara, and Winona Ryder) that supply some of the characters voices. Fun facts: O’Hara and Ryder played stepmother and stepdaughter in Beetlejuice. The character that Ryder voiced actually looked a lot like she did in Beetlejuice. Landau was in Burton’s Sleepy Hollow (1999) and Ed Wood (1994). The movie is rated PG. Parental guidance is suggested. I highly suggest that you view this movie before you show it to your little ones. It was pretty frightening for a Disney movie. That being said, you might just get pulled into this funny, clever, tender, superbly crafted film.